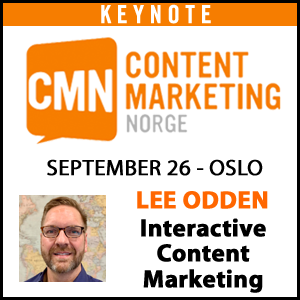 Content marketing is currently a very tactical solution to very tactical problems inside most companies today. Most marketers look at an infographic, an ebook, a video as “content marketing”. 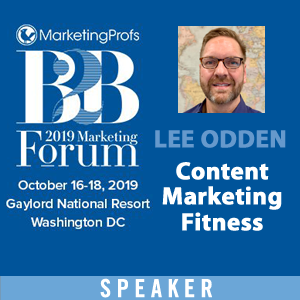 As long as this tactical approach continues in our campaign-based world, content marketing will struggle to achieve the success businesses need. At the same time, content marketers need to show something to get something. You have to prove value. I would suggest we need to work in parallel. Start with a content marketing pilot program. The focus has to be on continuous delivery of content and acting like a publisher. Then show the results and build the business case for extending that approach. Since content strategy comes down to managing content like a strategic asset, you also have to do an audit of your existing content assets, the cost, the use and the performance. I don’t think content marketing requires incremental budget. It just requires a shift away from non-performing content assets and non-performing advertising budgets. Once this is done, you have all the elements required for defining the content marketing strategy at any company. You know your current costs and performance. You know what skills you have and what gaps you need to fill. And you have some marketplace feedback on what works for your audience. Audience insights are really important. I see businesses spend a ton of money on buyer persona research but then stop short of identifying the pieces that are useful: what places does your audience go for content? What topics do they care about and share? What types of content do they fins most interesting? So direct research needs to identify the answers to those questions. Keyword research is also really important. When we have a question, we go to search engines and ask. Businesses have to understand what questions customers are asking and make sure their content strategy focuses on answering those questions. Another great source is social. I think the first place to start – and this requires an understanding of your keywords – is identifying what “share of conversation” your brand has around your important topics. The topic is usually your product category. Many brands simply count “mentions” on social. But this rarely changes much over time without some major external event or ad campaign. 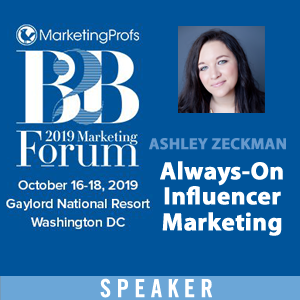 More important is how often brands show up in the larger conversation and what percent of that branded piece you have relative to your competitors. Text – words – will always be an important way to expresss our point of view, share important information, and dive deep into a topic that requires some time to tell the story. But visuals are beginning to take a larger share of the content we consume. Some estimate that video will consume 90% of the bandwidth on the internet by next year. Images play such a big role in the rise of sites like Pinterest and Instagram and Snapchat. And some futurists are even pointing to how kids use emojis and symbols to communicate. 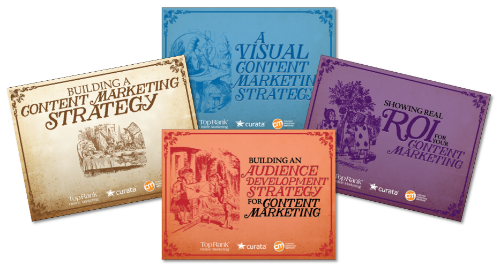 So visual, consumable and snackable content should be a growing part of your content marketing program. Content Marketing ROI is no harder than ROI for the rest of marketing. But many folks ask the question more as a defense mechanism for change. You will hear marketers ask this question despite not knowing what the ROI is on the rest of their marketing spend. So start with that benchmark. What is the ROI of marketing? Content marketing ROI is easier because content marketing results are easier than something like advertising. Next, you need to be able to calculate the cost of your content. This requires an audit and inventory of the dollars spent to produce the marketing content your business creates. Once you know the cost, you need to place a value on the results of content marketing efforts. For reach and engagement measures (pageviews, social shares, etc) you can calculate how much advertising or paid social investment would have been required to generate the same amount of reach or engagement. 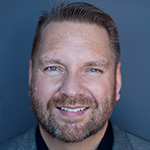 For conversion, you should know the business value or average cost of a lead, or an event registration or a subscriber. Then count those measures, multiply the average cost and you have a value numbers. From there, ROI is pretty easy. But I think the real question behind the ROI question is “why should I change what I am doing today?” And that is a totally different question. My favorite story from childhood is The Little Prince. Everyone knows it as a story about growing up, the loss of innocence, how to navigate this strange new grow-up world and also the discovery of new things. All themes that are very much a part of Alice In Wonderland. This is a lesson that is easy for businesses to forget as the pressure to sell more stuff looms over each and every one of us. That is why marketing is damn hard. And content marketing even more so. Excellent tips Michael, thank you! 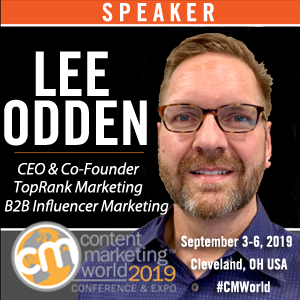 If you would like to broaden your content marketing knowledge, then be sure to check out the Content Marketing World conference coming up Sept 8-11 in Cleveland. If you use the discount code, TopRank, you’ll save $100 off main event and all-access registrations. A big thank you goes to the eBooks’ sponsor, Curata and to CMI for partnering with us on this project. All of us at TopRank Online Marketing and the broader content marketing industry benefits from their support of this eBook program! Thanks Laura – see you in Cleveland? I wish. I was in Ohio this morning actually (Ohio State football game last night) – but heading back to Charlotte now. Enjoy the event…Cleveland is a very fun city (it’s my hometown).